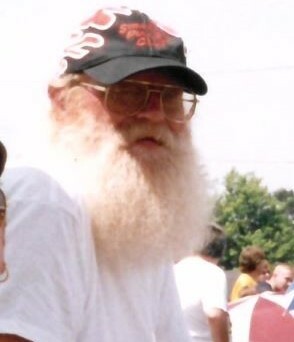 Donald "Red" J. Dowd, 71, of Alliance passed away on August 8, 2018 at his home. Donald was born in Salem on April 23, 1947 to the late Joe and Alberta Jane (Hinten) Dowd. Donald worked for Bliss in Salem as a welder and maintenance. He was an avid Pittsburgh Steelers fan, enjoyed riding his motorcycles and tinkering in the garage. He also enjoyed pulling garden tractors. Survivors include his son Luke (Alisa Saltsman) Dowd, a grandson Logan Dowd. He is also survived by a sister in law Becky (Nelson) Burnell; two nephews Matthew (Melissa) Johnston, Benjamin (Michelle) Johnston. Besides his parents he was preceded in death by his wife Krista Dowd. A funeral service will take place at 7:00 PM on Monday, August 13, 2018 at Gednetz-Ruzek-Brown Funeral Home. Friends may call the hour prior to the service at the funeral home. In lieu of flowers the family requests memorial contributions be made to Homeworth Fire Department 4354 Middle St., Homeworth, Ohio 44634. Arrangements have been entrusted to Gednetz-Ruzek-Brown Funeral Home, Sebring, OH. Friends and family may sign the guest register and view the obituary online at www.grfuneralhome.com.